Today at the QRP ARCI conference, Four Days in May, Ten-Tec is showing off their latest open-source transceiver: the Model 507 Patriot. 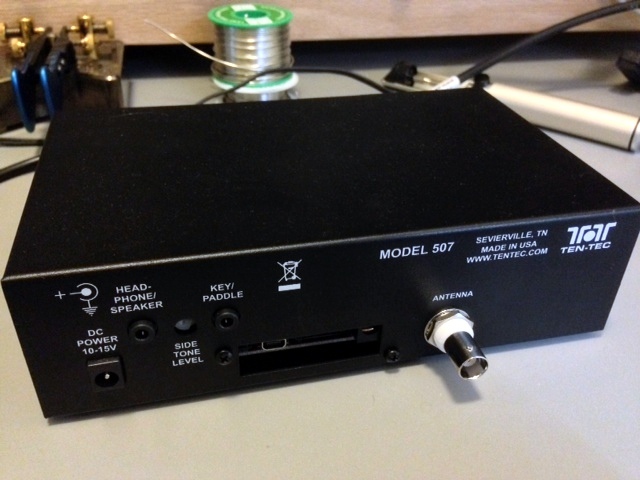 Building on the concepts behind the Model 506 Rebel, released last year, the Patriot is open-source and firmly targeted at the makers and experimenters amongst the amateur radio crowd. Like the Rebel, the Patriot is spartan by design, leaving it to the maker to develop the transceiver’s character via crowd-sourcing. 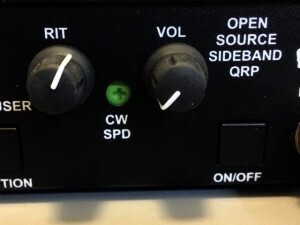 Unlike the CW-only Rebel, the Patriot has SSB and digital modes in addition to CW. I’ve had the Patriot’s progenitor for about a week now, and have had it on the air a bit. But as this is a very early beta version, I can’t comment on much other than to say that audio reports have been quite good on SSB. I’ll dive into the digital modes after the Hamvention. Of course, when I receive an actual production unit of the Patriot, I’ll give a more thorough overview. In a nutshell? I like this direction for Ten-Tec and am happy to see that they are growing a new line from the seed planted by the Rebel. By producing basic, open-source, and relatively affordable radios, Ten-Tec may actually be blazing a path to transceivers with benchmark performance and crowd-sourced firmware. I have no idea if Ten-Tec is contemplating this, but I’m sure many manufacturers are–it’s a great direction for any company. Meanwhile, stay tuned for more on the Patriot! 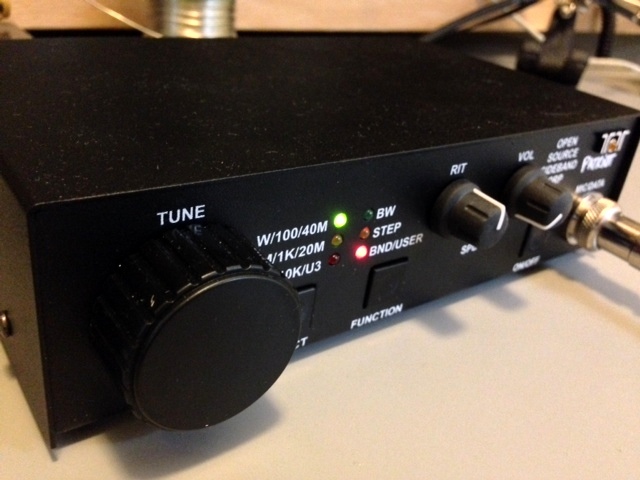 This entry was posted in Announcements, FDIM, Hamvention, News, Product Announcements, QRP Radios and tagged Patriot, Ten-Tec Model 507 Patriot, Ten-Tec Patriot. Bookmark the permalink. Curious on the reasoning behind the recessed pots for things. Especially a keyer. Can you override all of them in software? any idea of the power setting on the Ten-Tec Patriot? This may be a stupid question but this radio doesn’t have any readout so how do you know what frequency your on? Or is that something they’re going to add once they start selling later on? The Patriot (and Rebel) defaults to a frequency when you turn it on or move from one band to the other. You can change that default. The red LED indicator blinks every time you tune one step (there are three tuning steps you can chose). I also use an SDR spectrum display to read the frequency. You can certainly add a frequency display as well. Many have done this with the Rebel. Joe – it’s actually by design. The open source nature of the rig means a lot of features you can do yourself. 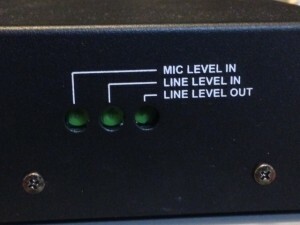 There’s a set of pin headers on the rig that you can connect to and program the radio software radio yourself to do what you want. So you can buy whatever type of display you want and program the rig to control it. So you could show the display frequency, keyer speed, voltage, maybe an S-meter, etc etc. You can see a mod someone did on the Rebel here, they added an LCD to it and display RX/TX frequency, S-meter, keyer speed and power. “The Intel® Galileo board is a microcontroller board based on the Intel® Quark SoC X1000 application processor, a 32-bit Intel® Pentium® brand system on a chip (SoC). It is the first board based on Intel® architecture designed to be hardware and software pin-compatible with shields designed for the Arduino Uno* R3. So there is a solid growth path for both the underlying computational hardware platform as well as the RF platform. Again, brilliant, TenTec, just very brilliant. Interesting the Model number. The second Argonaut was a 509 – wasn’t the first one a 508? How can the Patriot be pre-ordered? What are the specs. such as power out and duty cycle? I’m assuming the same as the Rebel. I’m looking forward to using the Patriot as the basis for my portable digital station. It would seem that the Rebel and Patriot are targeting folks that want to get involved in OpenSource/Open Hardware, without actually having to build a radio from scratch and program it. I believe that the Rebel, at least, achieves that goal admirably. 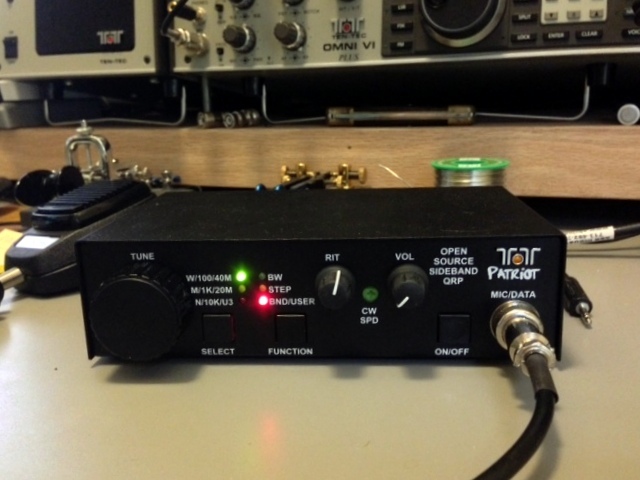 Unless I was really determined to have non-proprietary equipment, it would be very hard indeed for me to justify spending $400 on the Patriot when I could could get an FT-817 for just a few hundred more that would be head and shoulders above the Patriot in functionality. As you point out, the Ten-Tec Patriot is not a soldering project. Rather, it represents a pathway for HAMs who want to learn about digital signal processing enebled through the leveraging of the very large Arduino UNO architecture. In 1985 the Hewlett-Packard Company introduced it’s Precision Architecture with this observation: hardware is simply the software to which a given implementation is committed. If a radio has even one integrated circuit then that radio is ‘software defined’. Transceivers that utilize Digital Signal Processors are particularly complex ‘software defined radios’. Gaining access to DSP firmware code has been a long, hard struggle for the developer community. 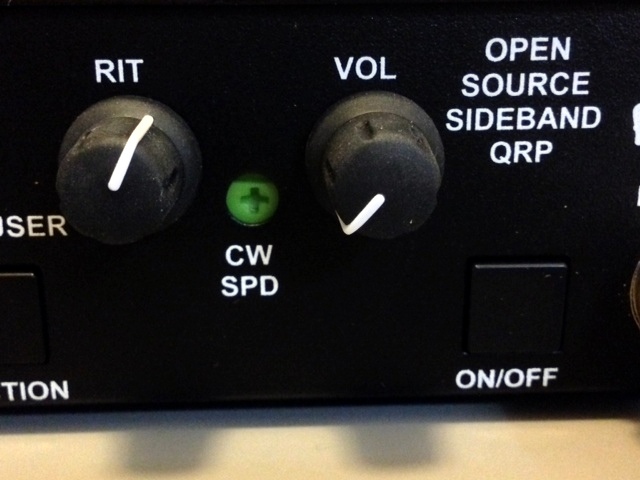 With the Rebel and now the Patriot, Ten-Tec has opened up the world of DSP programming. Both of these transceivers are built around the Digilent chipKIT Uno32™ Prototyping Platform, a super-set implementation of the Arduino UNO3 architecture. The chipKit Uno32, in turn, is built around a Microchip PIC32 microcontroller operating at 80 MHz. 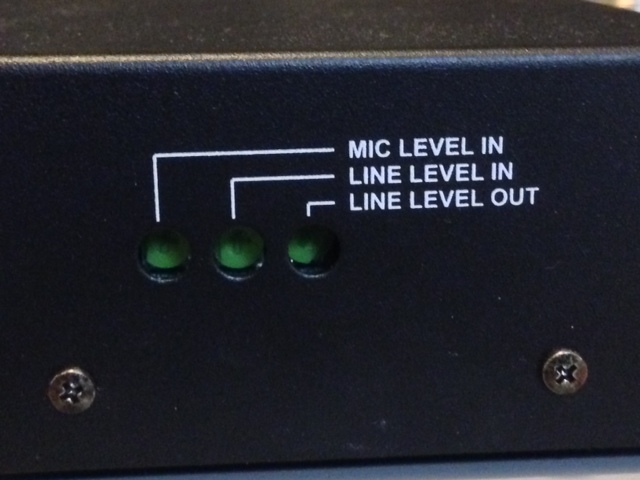 Ten-Tec utilizes the PIC32 microcontroller in other receivers and transceivers. http://opensource.org/ compliance is not trivial: I have studied the Ten-Tec Rebel documentation (https://www.tentec.com/pages/Transceiver-Downloads.html) and it seems more than complete. For me, the parallel in this arena to traditional HAM hardware: it’s like getting to make vacuum tubes and filters! I’m just waiting for it to be available for order.